As we've set our sights on summer travel with the launch of our Touring Collection, there are a few pieces that accompany us everywhere we go. A classic pair of sunglasses, a smart pair of loafers or sneakers, and a timeless, well-worn leather weekender. Our favorite comes from Moore & Giles. Moore & Giles was founded in Lynchburg, Virginia in the height of the Great Depression by Donald Graeme Moore, who had been laid off from his job in footwear manufacturing. Moore started the business by supplying shoe upper leather, lining leather, and sole leather to manufacturers. He would later be joined by his son-in-law W. Vernon Giles, and grandson, Donald Moore Giles, who served the company until 2018. In the 1980's as domestic tanning fell into decline, the company diversified its efforts, focusing primarily on natural tanned leathers for home furnishings. Their finishes stood the test of time, showcasing leather's natural beauty and tactile nature, in contrast to the commodity leathers that existed at the time. 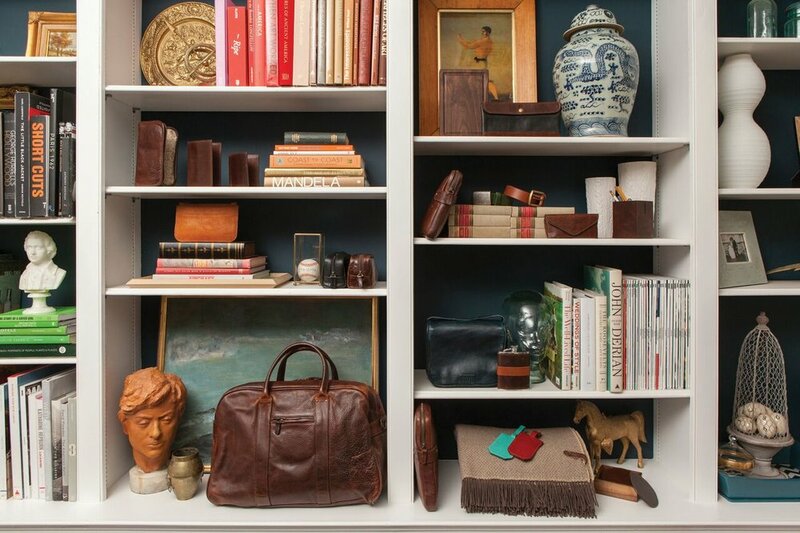 Moore & Giles now supply leather to architects and interior designers the world over. In 2007 they introduced their line of luxury leather bags and accessories. Utilizing hides as a byproduct of food production, Moore & Giles, is committed to using modern tanning techniques that minimize the environmental effects of the process. Like Alps & Meters, Moore & Giles recognizes the unique durability of leather, and the history of this natural material for providing apparel, shelter and protection since the dawn of time. While furnishings still remain a large component of Moore & Giles' offerings, we are particularly partial to Moore & Giles weekender totes, picnic bags, and briefcases as timeless accessories. While they look good out of the box, these pieces are heirloom quality, and will only get better with age and wear. The perfect companion for a summer of adventure. If you find yourself in Park City this summer, shop a select collection from Moore & Giles at our St. Regis Deer Valley Store.